Stiv Cantarelli & The Silent Strangers are back, building on the success of their critically acclaimed debut Black Music / White Music with more post-punk revolutionary blues. Having recorded their debut in an abandoned church amid the isolation of Italy’s Romagna hills, Stiv and the band decided to up sticks for the city for their next project; specifically the super-trendy environs of Hackney Wick, East London – on the banks of the River Lea – where they holed up in the infamous Gizzard studio with producer Peter Bennett (founder of Monkey Island, The Dublo and Morning Bride) and studio owner/engineer Ed Deegan (Billy Childish, Mudhoney, The Fall, The Cribs). In a nod towards the stripped down Thames Delta sound of Dr Feelgood et al, Dave Dulake, landlord of Southend rock’n’roll boozer The Railway Hotel, was also on hand to lay down some barrelhouse piano. The result eschews much of the gentle Americana of their debut album, the band now immersing themselves fully in the dark and savage blues that they’d only just begun to hint at on record, but that had already made their live shows a thrilling and cathartic ride. If you’re thinking The Gun Club, Thin White Rope, The Scientists or Gallon Drunk, you’re getting close. Stiv Cantarelli initially came to prominence as leader of Italy’s number one alt.country band Satellite Inn, who were recruited by North Carolina label MoodFood as a replacement for the ascendant Whiskeytown. Touring the States intensively, Cantarelli became firm friends with Portland, Oregon roots legends Richmond Fontaine, which has led to him releasing several records on their El Cortez label and employing them as his backing band on his solo debut Innerstate. It was this connection that found him at the wheel of a tiny Fiat beside Bob Mould for an Italian odyssey during the miserable winter of 2009. 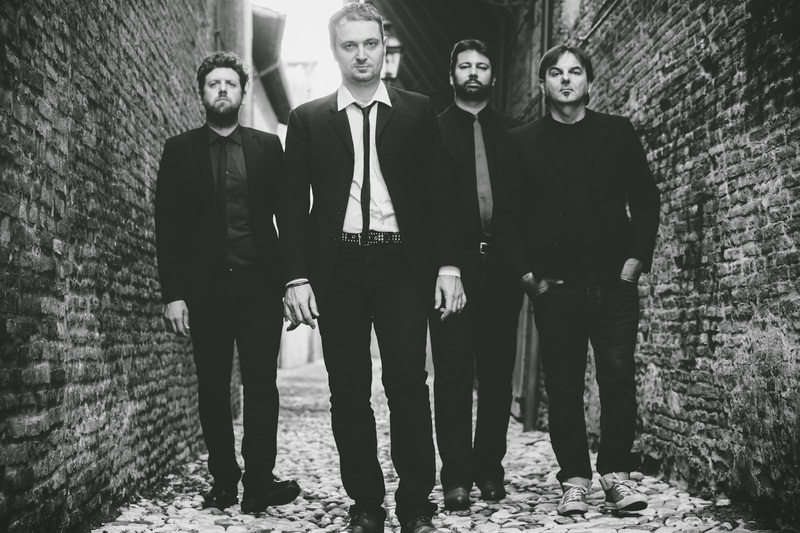 In the Silent Strangers, Stiv is joined by former Satellite Inn rhythm section Fabrizio Gramellini (bass) and Antonio Perugini (drums) along with new member Roberto Villa (guitar and sax). The album release will be followed by a series of UK dates in mid-October. Matt Backer is a leading guitarist and songwriter, having performed and toured with an array of artists including Laura Mvula, Emilia Mitiku, Aimee Mann, Steve Earle, Emmylou Harris, Kim Wilde, Swing Out Sister, Elton John, Cher, Bananarama, Joe Cocker and Alice Cooper, amongst others. Matt’s new blues album Get Backer is produced by Matt and his long-time collaborator Ian Shaw (Nick Heyward, Julian Cope). The album features special guests including former Shakespeare’s Sister Marcella Detroit, Peter Cox (lead singer of Go West), US blues legend Bill Blue and world-renowned blues harmonica player, Adam Gussow. Award-winning British director Steve Graham directed the video to accompany the first single, Histrionic Narcissist Blues (Let’s Talk About Me). Both single and album are released on 15 September. His second solo album, Idle Hands, earned him Favourite International Artist at the Independent Music Network Awards 2013. Matt was also nominated for Favourite Group/Duo, along with collaborative partner Julian Lennon, who co-wrote, produced, and shared lead vocals on the anthemic single All That Youʼve Wanted. The track was play-listed at radio stations across the USA, and reached Number 1 on several Independent Music Network charts. Martin Fry took time out from his position as ABCʼs inspired frontman to duet on the track Halfway To Jessica. The single Let’s Art, was played on UK radio stations nationwide, including BBC Radio 2. Matt has toured the world with artists including Belinda Carlisle, ABC (with whom he sold out the Royal Albert Hall performing an orchestral version of their seminal Lexicon Of Love album) and Rumer, on whose double platinum debut Seasons Of My Soul he performed, as well as its follow up Boys Donʼt Cry.